The Race 8 allows for a more extreme ride, more “Race” to snap a time on an enduro, or simply to ride full speed on any extreme path, whatever the direction of the slope! 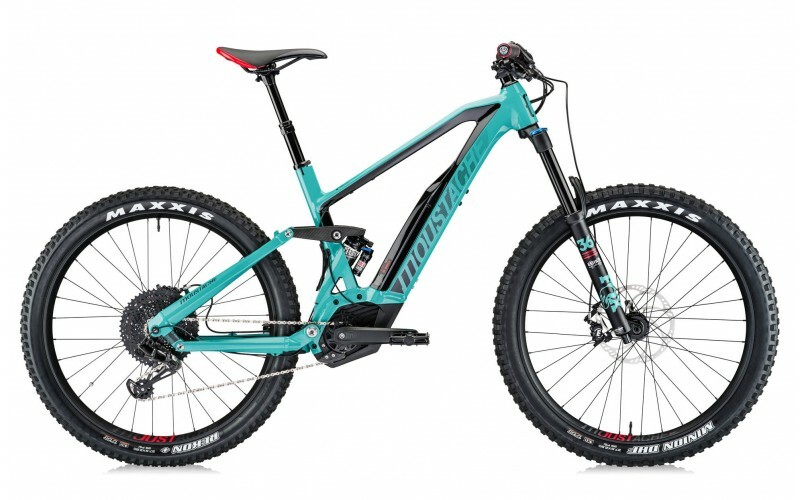 If you want to hit the trails hard, this is an excellent bike. Featuring Moustache's Hidden Power Technology, the battery is placed further down into the frame, creating a low center of gravity for truly excellent handling. eBike optimised components from Fox and Magura combined with a playful geometry results in a strong frame that's responsive and balanced. 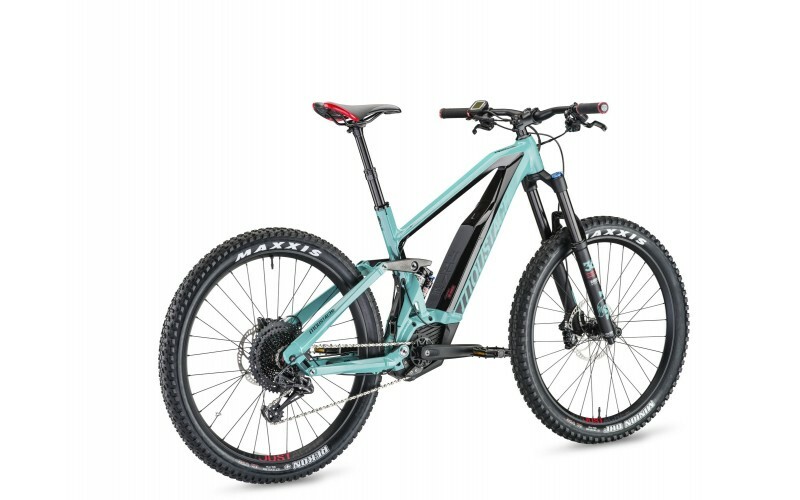 An ultra powerful and enduring Bosch Performance CX system with an all new E-MTB specific mode is featured for 2018. Dedicated Race geometry to beat the best time at your local track or why not win the Mega! The frame architecture offers one of the lowest centres of gravity on the market for amazing efficiency. Rock Shox Monarch Plus RC3 Debon air shock 200x57 for aggressive riding. 160mm travel. 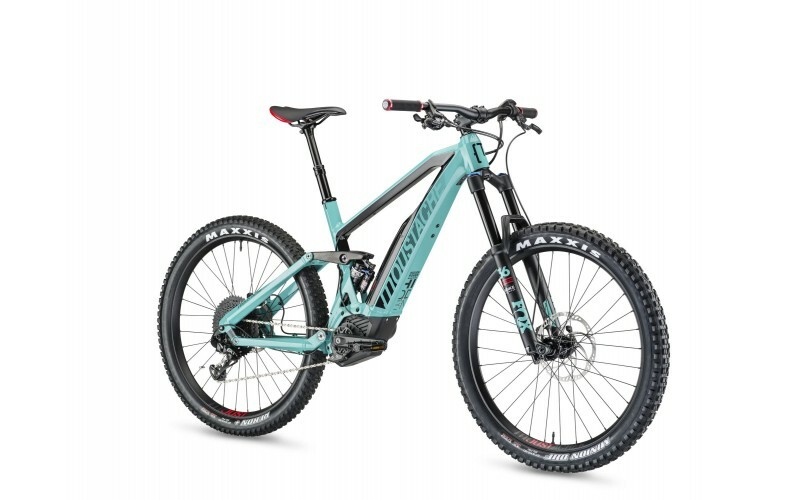 New Fox 36 Performance fork, E-Bike specific, black aluminium reinforced stanchions, GRIP hydraulic cartridge with external lock-out and rebound adjustment. Boost standard 15x110mm for stiff and precise steering. 160mm travel. Ultra powerful and progressive Magura MT5 hydraulic disk brakes, forged aluminium 2 finger levers, 4 pistons, with differential rotors (Front 200mm and Rear 180mm).